Are you Interested In A Job Working With Diamonds? Dealing with diamonds every day sounds like a glamorous way to earn a living. In fact, we are Austin’s top diamond buyers and we can say first hand that working in this industry does come with some thrilling moments. For us, nothing beats the excitement that comes with the privilege of getting to see a spectacular diamond up close and in person. For anyone interested in a career in the diamond industry it is important to understand that you will need the proper education and training before you can expect to succeed in the real world. That’s right! 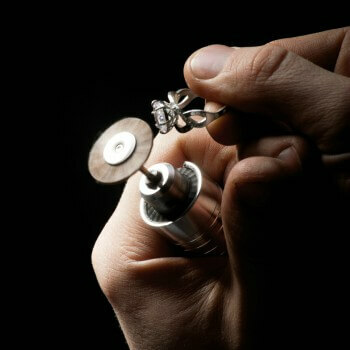 Just like any other profession, the world of diamonds is competitive and requires commitment and hard work. In some of our previous post we discussed the process of how diamonds are cut and we mentioned a few schools where you can become a certified diamond cutter. Now, we will go even further and discuss all of the different career options in the world of diamonds. When it comes to the 4C’s of diamond grading, no one knows more than the creator of the modern industry standards, The Gemological Institute of America (GIA). And, GIA also offers a variety of graduate diamond programs for anyone looking to get into the business. Some of these career paths include diamond buyers (like us) and diamond sorters/graders. There’s no better place to study the art and science of dimaond grading. American Institute of Diamond Cutting, Inc.: The only licensed diamond cutting school in the US, this institute provides education in a variety of fields. You can even receive consultation services for field work in diamond mining. The Institute for Diamond Studies: Located in Israel, students can learn all about marketing, design and evaluation of rough diamonds. As well as how to use special tools, methods of identifying real and imitation diamonds and there are even courses offered in areas related to diamond factory foremen training. Corlia Roberts Diamond Education College: Consider spending some time in beautiful South Africa and you can learn all about diamond cutting and polishing, rough diamond grading and polished diamond grading. Other noteworthy schools include Aurora College in Canada, Diamond Rough in the US, and the Harry Oppenheimer Diamond Training School, also in South Africa. So, now that you know a bit more about different careers in the diamond industry, what will you do next? Maybe you’re ready to apply to a program right now. Or, you decided on a different path altogether. Or maybe, you’re still not sure. One thing’s for certain, if you are interested in selling your diamonds in Austin, be sure to check out our website to find out more about our diamond selling process. And, don’t forget to read more of the M.I. Trading blogs for tips and advice from the experts on all things diamond-related.